Now, on to today’s post. 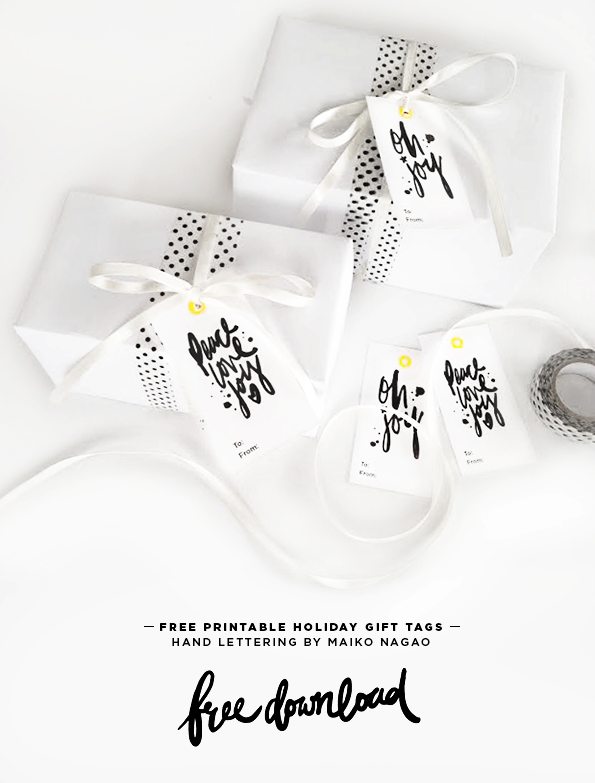 I was looking for free printable tags on the interwebs to use on my packages. I have zero time or money to make gift tags this year, so I am going to find something to use from my friends on Pintrest. There are so many great ideas and freebies on Pintrest-are you following me there? If not, click over and let’s be friends! In addition to finding some great gift tags for myself I found a few others to share with you lovely readers. To use them all you need to do is print them at home (or go to a copy shop and print them on heavier paper). You could also add a little extra-glitter, etc. As always if you decide to download them be sure to leave a comment on their blog! Bloggers share freebies like this with us and love to hear back from readers who enjoy them! I’ll share a few here, but I found a bunch more. Click over to my Freebies board or Christmas board to see them. These from Yellow Bliss Road are so glam! This set from Sass & Peril has a mix of Christmas and Hanukkah tags! This set created by Maiko Nagao are so simple, but perfect. And I love the idea of black & Whie wrapping! Black, white, pink and yellow. The Lovely Drawer gets me.....I LOVE these! These tags from Creative Index come in Black & Gold or Red & Green versions. Now, dear blog readers, I have a request. I need the perfect side dish to take my uncles house for Christmas! I need something that will travel well, feed a bunch. Bonus points if it has at least a few healthly ingrediants. What should I make? Leave me a comment!